The State Government has just tabled the Firearms Amendment Bill 2017 and the Explanatory Memorandum in the lower house. Click here to see the bill and here to see the more useful Explanatory Memorandum. There isn’t much we’re going to say on it until we’ve had a chance to go through it more thoroughly. 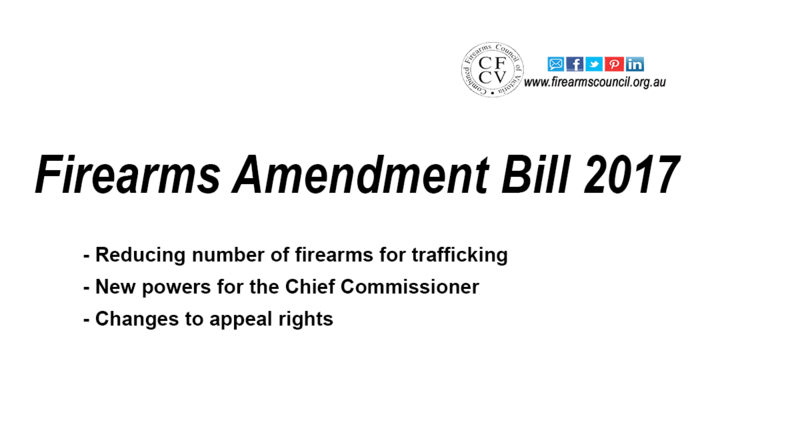 While there is a focus on criminal access to firearms, there are a number of provisions we will definitely have a close look at such how the Chief Commissioner can use ‘behaviour’ as a reason to prohibit a person from being able to access firearms, the changing definition of firearm trafficking and the changes to appeal rights. 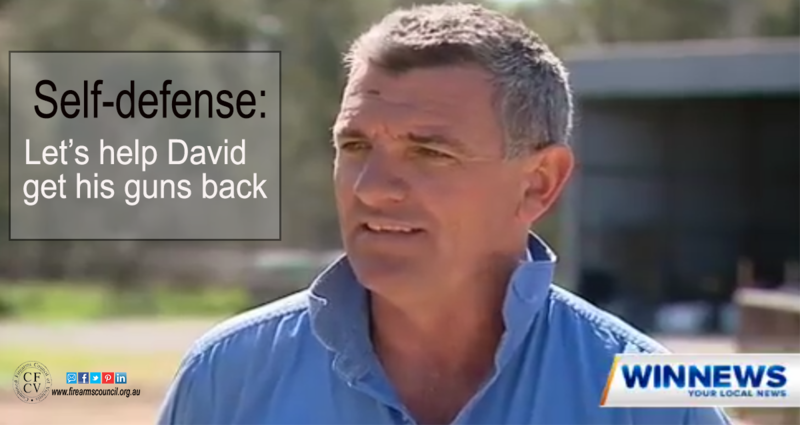 By now half of Australia has heard about David Dunstan’s plight. David’s the guy who used his unloaded 22 to stop an intruder breaking into his house at 3:30 in the morning armed with a knife and piece of wood. David persuaded the guy to sit in his car and ended up handing him over to the police. 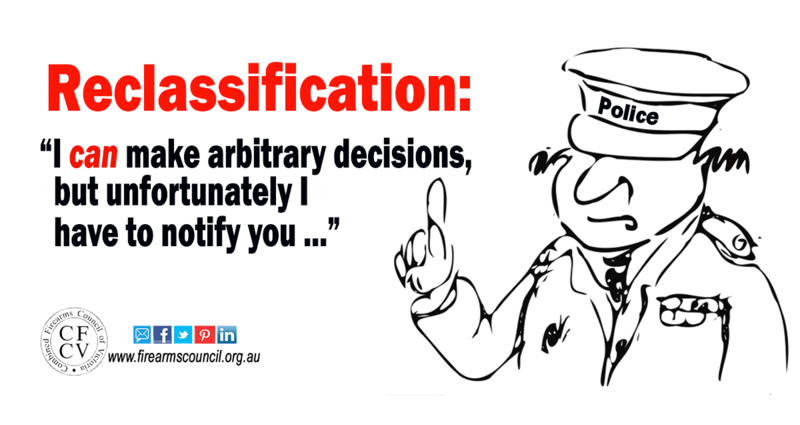 One of our legal minds has been looking at the ‘appearance’ provisions of the Victorian Firearms Act 1996. The offending provisions are found in sections 3A and 3B of the Act which give the Chief Commissioner broad powers to either temporarily or permanently recategorise Cat A or B firearms on the basis of appearance.